So,, after seeing all those beautiful folding bikes at CQ, and hearing all those stories about people who commuted to work (and, not being as fit as I would like to be)… I have a new bike… a folder! 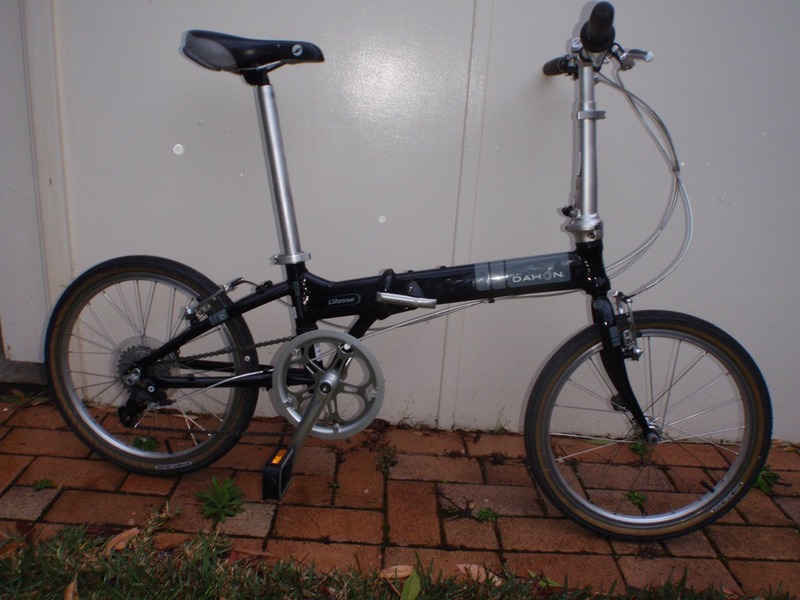 It’s a Dahon, Vitesse 7 that I bought second hand off ebay. First impressions? I think it’s cute. The 20 inch wheels are the largest that I can get onto the train for free (you have to buy a child’s ticket for a real bike), It is surprisingly easy to fold – the website says that it takes 15 seconds, I have to confess that I’m a bit slow still, it probably takes me about a minute, but hey, that’s still pretty good. It’s reasonably heavy, but still reasonable to lug up and down the stairs at the station. Look, the bike doesn’t ride like a real bike. It’s definitely a bit twitchier, and riding in flats is a bit weird (I can’t remember the last time I rode without cleats, unless you count the turn around the oval I did on Adrian and Jezz’s tandem at CQ). However, I was after a commuter folder, not a touring folder, and my budget didn’t stretch to a Brompton, so this seemed like a nice intermediate move. I’m planning on using it to cycle from Central to work (about 5 kms each way), mostly on quiet roads. I’ll give everyone a better review after I’ve pedalled it a bit more. This entry was posted in Uncategorized and tagged Commuting by On two wheels. Bookmark the permalink. 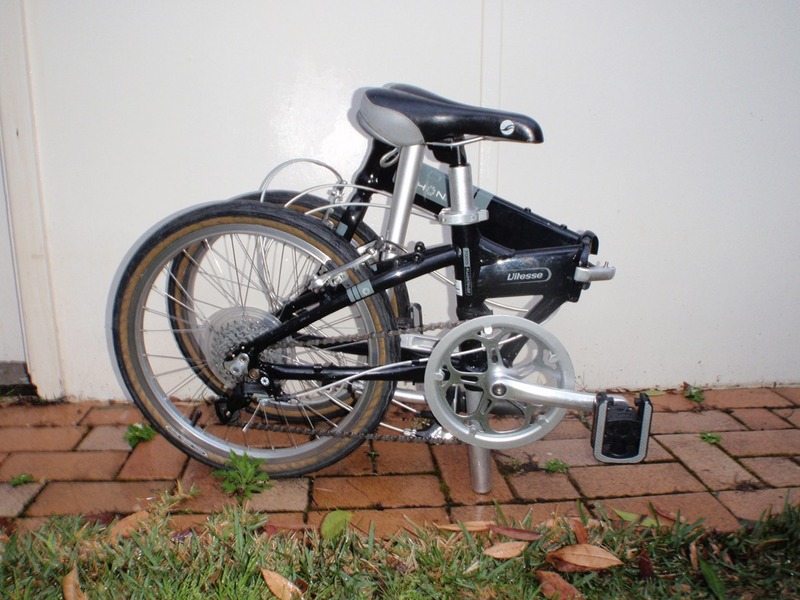 Must admit, I would love a Brompton – beautiful piece of engineering. But our next bikes are likely to be tandems – in time for CQ12. I’m keen on the Bike Fridays for this. Great video! Really captures all the aspects of CQ.